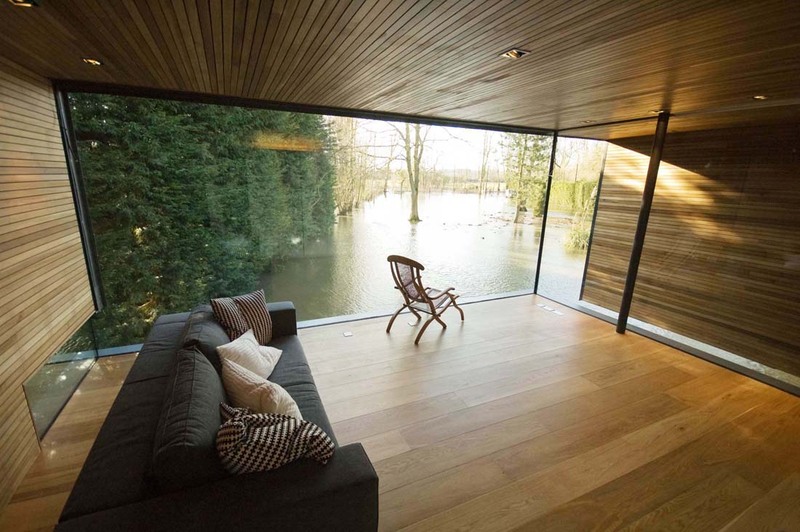 A friend recommended a book called New Natural Home by Dominic Bradbury. 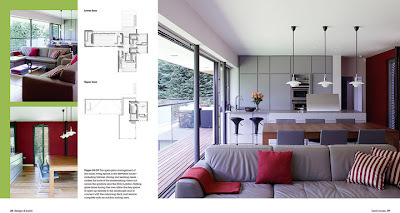 It's full of amazing houses that are "thoughtfully design and sensitively built", has a low energy use, are "long-lasting" and with a respect for the landscape and the environment. 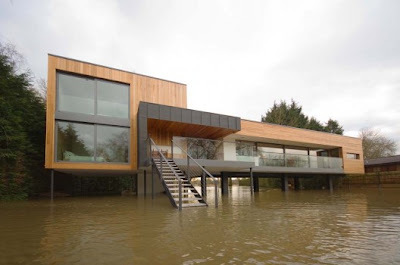 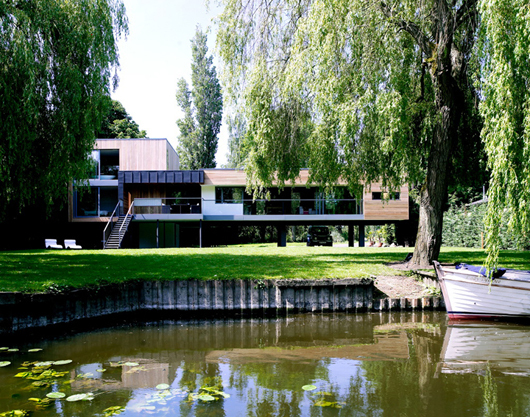 This house in the UK by architect John Pardey is rather spectacular... including the flooding.